During the last 2nd gvSIG Festival, a webinar about Geostatistics: R integration in gvSIG was given, about R and its main functionalities. At this introduction to R, the different type of graphical output that we can get were shown. 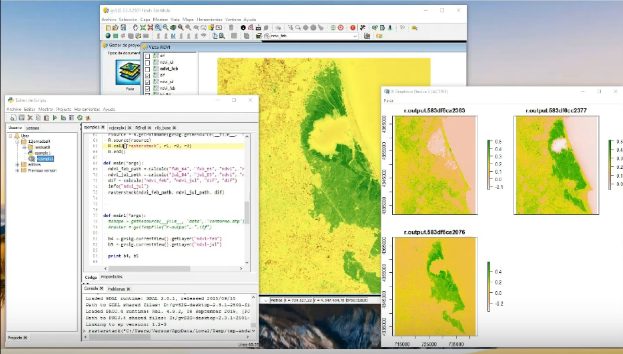 The different integrations of R with gvSIG Desktop were explained too, with the advantages and disadvantages for each one. This integration is done following the Scripting module, so the necessary actions to run R code will be shown. Besides some practical cases about the use of the tool are explained. You can download the data to follow this webinar from this link. This entry was posted in english, events, gvSIG Desktop, training and tagged Geostatistics, r. Bookmark the permalink.